Today we’d like to introduce a new look for Clearly New Mexico – one that we hope makes your visits to our site a bit more pleasant visually. Don’t worry – we’ll still feature the same biting commentary and socially responsible take on the issues we’ve become known for. We did add one little thing – a weekly question – which we’d like our thoughtful readers to answer in comments we’ll publish on the site. Thanks for sticking with us through our redesign – and tell your friends to come check out Clearly’s new look, too! It’s taken me a while to settle down and write this post-session wrap-up. Partly because I’ve been so annoyed with some of what I saw happen at the Legislature, and partly because I wanted to get the chance to compare notes with others who experienced it too. It’s been a week now – so, I’ve done my comparing, and I’ve found plenty of others who had the same thoughts as me. One overwhelming theme I witnessed during the most recent 30-day session was the continuing lack of public access to the legislature. Important decisions were literally made in the middle of the night. I sat in a Tax and Revenue Committee after midnight on the last night of the session listening to legislators debate (and reject) a cigarette tax that could have raised millions for the state. No one was there to hear the pros and cons except the legislators, their staffers, a bunch of paid lobbyists and a handful of reporters. And the so-called tortilla tax – remember that? That much-maligned measure sailed through the Senate in the dregs of a Saturday morning. It would be an understatement to say that the rest of New Mexico was pretty mad when it woke up and heard the news. Am I naïve to think that is just plain wrong? Part of the problem of public access could be solved if there was better public notice of when bills will be heard in committee or on the floor. I saw a lot of bewildered “regular” people up there waiting to testify on bills that affected them. Should legislators be required to give more notice? For the sake of the public, perhaps so. This is where webcasting the committees could also help. 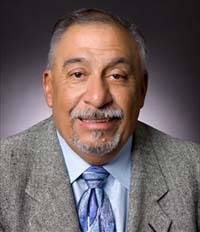 Sen. Eric Griego had proposed an amendment which would have done so, but didn’t get the chance to introduce it on the floor. And what about archiving those webcasts, so the public can watch them later? Even a webcast committee hearing at midnight won’t get an audience — but the public can access an archive. Similarly, SR1, the measure to expand the number of cameras used for webcasting of Senate floor proceedings, languished for four days on the table before dying when the session ended. This happened despite Leader Michael Sanchez, who controls the Senate calendar, suggesting that he would bring it to a vote. But inexplicably it didn’t happen. It was all a big tease. The fact that I saw some legislators waste colossal amounts of time made it hard for me to accept the excuse offered by some Thursday afternoon that they were “so close” on the budget and simply “ran out of time.” I know some legislators did work hard and were as frustrated as the rest of the state when the session ended without a budget. Legislators were supposed to meet this week Wednesday to finish their job, but got a last minute-reprieve from Governor Bill Richardson. When they reconvene next Monday at noon, let’s hope they make much better use of their time. I watched the news last night and learned that today the Credit Card Accountability Responsibility and Disclosure Act of 2009 will go into effect. Essentially this act is looking to provide protection to the many credit card users in our country by forcing credit card companies to show their customers how long it will take them to pay off their account when paying the minimum payment, making customers agree to penalty fees or the company can’t charge them, and limiting interest rate increases to affect new purchases and not the existing balance. So, I thought, this is what the credit card companies were prepping for the past few months as they raised everyone’s interest rates (even if they had never been late on a payment) and began looking for other ways to essentially keep taking their customers money. The passage of this credit card reform act is definitely a step in the right direction, but don’t think that it takes the ball out of the credit card companies’ court. Rather, they have already identified new ways to raise their revenues since they just had some of their most lucrative revenue raisers taken away. Banning these and other profitable tactics is expected to cost the card industry at least $12 billion a year in lost revenue, according to law firm Morrison & Foerster. This has sent the industry scrambling to find new sources of revenue. So get ready for higher annual fees, higher balance-transfer charges, and growing charges for overseas transactions. “There are countless fees that can be introduced and rates can go through the roof,” says Curtis Arnold, founder of U.S. Citizens for Fair Credit Card Terms Inc., a consumer-advocacy group. Consider the new offer from Citigroup Inc. The bank will give cardholders a credit of 10% on their total interest charge if they pay on time. That sounds enticing, except that if you don’t pay on time, your interest rate is 29%. What’s crazy is that a friend of mine just told me today that he recently received a letter in the mail for a credit card he hasn’t even activated. The credit card company made envelope look very simple and not important, yet the letter inside explained that if he didn’t call them soon, they were going to begin charging him a $60 annual fee for his card (one that he hasn’t ever used at that!). By now we’ve all heard the reports of the results (or should I say, lack of results) of the recent Legislative session, and how legislators must now convene for a Special Session this coming Wednesday to come up with a state budget. “In the two weeks prior to Thursday, both chambers had approved competing budgets. The philosophic disagreement that drove a wedge between them was a classic one: House Democratic leaders preferred raising revenues through tax and fee increases to the deeper spending cuts Senate Democratic leadership wanted. The Senate proposal recommended spending $120 million less than the House plan — $5.3 billion to $5.426 billion. It also raised nearly half the revenue proposed in the House bill, generating $180 million through tax increases vs. $340 million in the House bill. To go even deeper, one of the budget recommendations from the Senate was to increase taxes on many of our staple foods, while the House wanted to increase gross receipts taxes. Yet hardly anywhere to be seen in either of these budgets was the recommendations that came from many at the Better Choices NM coalition. The Better Choices NM coalition is an alliance of small businesses, members of the faith community, labor groups and nonprofit organizations who have joined forces in an effort to encourage legislators to make a better choice for New Mexico. This special session could be a blessing in disguise, as it gives our legislators one more opportunity to consider what choices they can make for the better of all New Mexicans. ● Repeal tax cuts for the highest income New Mexicans. Right now someone making $16k in New Mexico pays the same amount of taxes as millionaires in New Mexico. ● Eliminate corporate tax loopholes to level the playing field for New Mexico’s small businesses. Currently big corporations like Wal-Mart pay NO taxes (emphasis mine) on the products that they sell in New Mexico, and if you’ve lived in any small New Mexico town, you know they buy tons of Wal-Mart products. ● Preserve jobs and services. Simply put we do not want to end up laying off large amounts of our workforce and have to shutt off some of our streetlights as they did in Colorado Springs as a result of not raising enough revenues to preserve services. So as we move into the special session, all of us who want to stop education from being cut, employees from being laid off, and many of our state services from being weakened should contact their legislator and let them know to support better choices for all New Mexicans. The bill to permit conceal carry in restaurants was approved by the legislature. There’s really not much else to say, except…this bill is on the Governor’s desk now. Because Democratic Sen. George Munoz of Gallup lent his car to his sister and got his gun stolen from the car while it was IN ANOTHER STATE, legislators in New Mexico now might make it legal for people to carry concealed guns into restaurants that serve beer and wine. “If you leave guns in vehicles, they’re going to be stolen,” Munoz told the Albuquerque Journal, when asked to explain why he introduced SB40, which would allow people with permits for concealed weapons to carry them into establishments that serve beer and wine. The bill has passed several committees during the current session and could end up making it into law. So because of one thing that happened in another state, I may now have to worry about people whipping out guns whenever I take my kids to Scarpas or Saggios or Slate Street Café. Whatever your beliefs about gun rights and licensing and training and law-abiding citizens, it just makes sense to know that combining concealed weapons and any kind of alcohol is a bad idea. The law bars anyone who carries from actually drinking, but how is a server going to enforce that, when the gun is concealed? An analysis from the state prepared in conjunction with the bill lays it straight out. According to the state Department of Public Safety, more than 17,000 New Mexicans have been issued concealed carry licenses since 2004. “The introduction of a firearm, legal or otherwise, into an environment where alcohol is consumed is inherently dangerous,” the department is quoted as saying in an analysis of Munoz’s bill prepared for legislators. But it really doesn’t take a government analysis to see that SB40 is a bill that deserves to die on the floor. For those of you who are convinced that the legislative branch of government is incapable of getting anything done, you just haven’t seen the New Mexico State Senate’s Corporations Committee at work. Indeed, if you were there last week on Wednesday and Saturday nights, you would have witnessed an engine of legislative efficiency at work, clicking away on all cylinders. Unfortunately, it was an engine of destruction. Senate Corps was hard at work killing one revenue bill after another in rapid succession. The broken dreams of New Mexico school kids lay strewn in the wake of this mayhem. Without new revenues, they will be savaged by deep cuts to education funding. And it’s the same devastating story for all those New Mexico families who depend upon public health programs. But no matter, Senate Corps has a different clientele. When Charles Bowyer of the National Education Association NM stood up at in the committee to speak in support of one revenue bill, Chairman Phil Griego (D-San Jose) startled the respected education leader by informing him that he had come to the wrong place. That one produced a hail of guffaws from the phalanx of corporate lobbyists sprinkled throughout the room. After all Senate Corps is their committee. And a bill killed there stays killed. Will New Mexico legislators take advantage of the many ways available for raising revenues, or will they ignore the logical options and keep threatening drastic cuts of vital state services like education, health care and other social services? The Better Choices New Mexico coalition of church groups, social service advocates and unions is holding a press conference today at the Roundhouse to keep putting pressure on state legislators to stress tax fairness. Members of the coalition say keeping the state solvent depends on making everyone pay their fair share, especially New Mexico’s wealthiest residents and the many out of state corporations who do business in the state. Those groups got big tax breaks back when the state was flush with cash – and now it’s time to them to give up those advantages, coalition members say. There are a number of measures making their way through the House and Senate right now that aim to correct those inequities. As the session draws closer to conclusion, the Better Choices New Mexico coalition wants others who care about education, public safety, health care and all of the services on which New Mexicans depend to join them in calling for a responsible and humane resolution to the state’s budget shortfall. Despite its name, HB 276, the so-called “bad actor” bill introduced by Rep. Brian Egolf, has nothing to do with soap operas or reality shows. It DOES have everything to do with giving the New Mexico Environment Department the right under the Air Quality Control Act to deny a permit application (or revoke an existing permit) for entities whose environmental history shows a blatant disregard for federal and state environmental laws. What sorts of acts would fall under this “bad actor” provision? Just the really, really bad ones. Like what? How about knowingly misrepresenting facts in the application for a permit? Or refusing or failing to disclose the information required under the provisions of the Air Quality Control Act? Or being convicted in any court, within the past ten years of a felony related to environmental crime; or a crime defined as involving restraint of trade, price-fixing, bribery or fraud? Or having constructed or operated a facility for which a permit is sought without a permit required by the Act, and the emissions from the unpermitted facility exceed the permit requirement threshold by twenty-five percent for any pollutant? Or having had any permit revoked or permanently suspended under environmental laws? Currently, all of the other major environmental statutes in NM already have “bad actor” provisions – solid waste, hazardous waste and water quality -all except air quality. Besides allowing the most serious of air quality offenders to go unpunished, the lack of bad actor provisions in the current Air Quality Control Act is unfair to businesses who strive to comply with state rules. Facilities constructed or operated illegally have a significant economic advantage over facilities with valid air permits. It is unfair to businesses that comply with statutory and regulatory laws to allow non-compliant businesses to operate outside the law. The vast majority of New Mexico companies operate well within New Mexico’s air quality laws. The ones who don’t should be labeled “bad actors” and held responsible under New Mexico law for their actions.